We continued with our tradition of bringing together friends and families linked to Southend in Transition through their direct work with us or via aligned projects. We met at Trust Links site in Westcliff and enjoyed the warmth of the straw bale building while setting up the tables to look festive. Over biscuits we got to do create some lovely vision boards with wishes, hopes and goals for 2019 expressed through pictures, drawings and words. It is a great way to reflect on what matters to us and start the process of change. Tea and conversations stimulated by the cut outs kept flowing and chocolate biscuits were abundant. We then had speed talks where anyone who wanted to talk about a project or personal change for 2019 has 2 min to present to others who then in turn can provide advice and support. I kicked off talking with gratitude about all the volunteers and groups which contributed to the plot in 2018. We thanked those who enable us to be involved in this work while they look after the families or households. I spoke about not believing the illusion presented by the media and politicians and that there is more that unites us then divides us but that the distractions presented are in direct contradiction of the day to day of community groups which come together to make a difference to where they live and beyond. We will continue developing the plot in 2019 to make it a welcoming and beneficial place to our communities. Ron told us about the orchards work happening in East of England. The February pruning workshop was over subscribed 2-3 times the capacity showing how much interest there is. Dates for plums summer pruning will be available in the future. Ane spoke about thinking where your energy comes from and that many companies provide a reasonable price while sourcing green energy. Steve added that some companies directly invest the money in new green infrastructure. His advice was to see the Ethical Consumer score and a price comparison sites result and go with what you can afford. I added that this year 50% of the 10 lowest tariffs offered green energy. Matt signed up with Bulb so if you are interested to try them out he can refer you and that gives both parties money off. Tilly spoke about Southend Soup and events coming up in a few months time. After that we had a music session led by Susan, the drums and Nella’s instrument basket came out and everyone contributed to some rhymes when food was ready. We had lots of food to share with people bringing nibbles, main courses, desserts and drinks. Plenty to chose from vegan buckwheat and mushroom bakes, through to roasted and steamed veg through to jam tarts and homemade chocolates. There where plenty of seconds and I think everyone left pretty full and satisfied and we had enough cake to give out packs on the door. Great start to this year ahead which will continue to test us and also offer opportunities to grow personally, as a community and as inhabitants of one and only planet within the generous boundaries of nature. Sewing, sourdough, homemade hand balm/toothpaste, essentials oils, reflexology, jam making, textile painting, fermenting, hypnobirthing and relaxation, drumming, meditation. £17.50 for full day includes refreshments, vegetarian/vegan lunch and a goody bag. 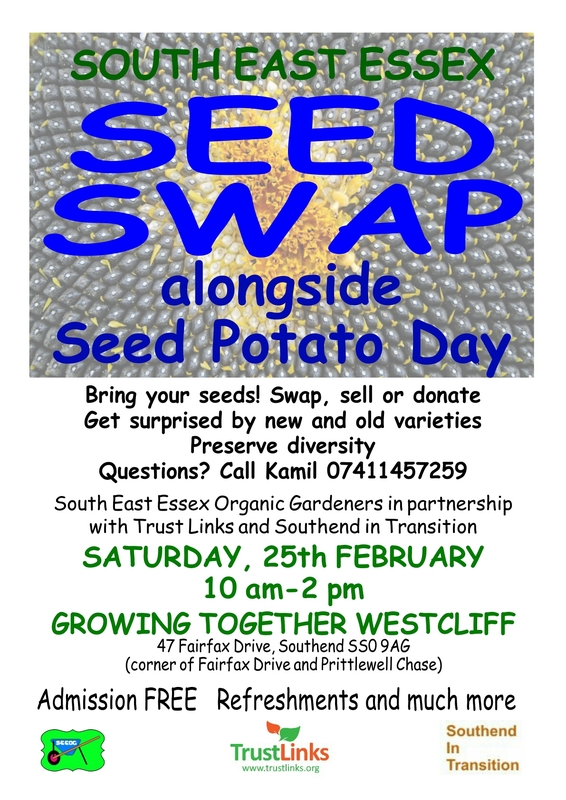 Profits to Southend in Transition and Southend Little Free Pantries. To Book: Message us via our Facebook events page. Email alicjauk@googlemail.com or call Alicja on 0788611278. Places for some workshops are limited so book early. 3.30-4.00 Drumming workshop by Susan followed by a family meditation. Goodbyes. There will be an all- day chill out and crochet area with Laura. 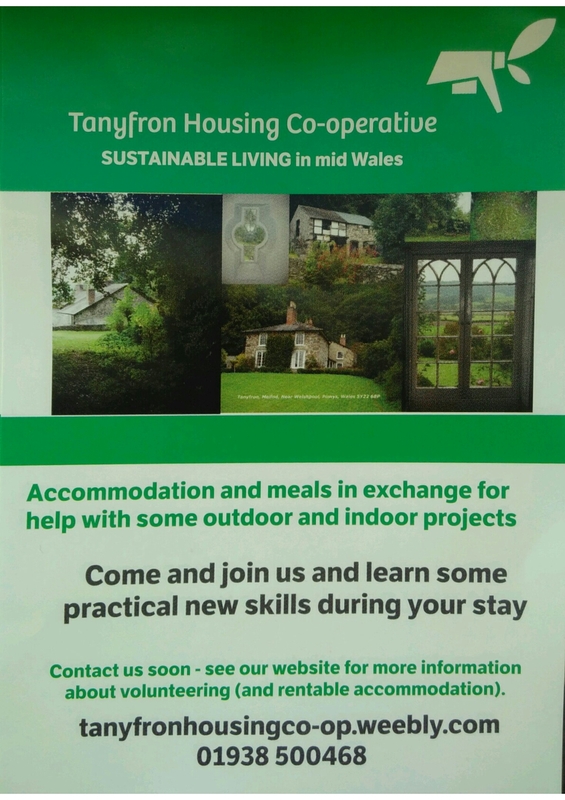 I have been told this is a lovely place with a great community which strives to live sustainably. Options for volunteering available through working holidays, learn a new skill. Bring your seeds! Swap, sell or donate! Get surprised by new and old varieties! 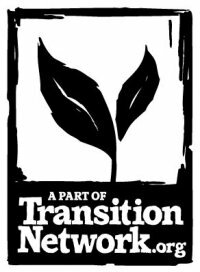 Design 4 A.C.T.I.O.N (Active Community Transformation In Our Neighbourhoods) is a different kind of permaculture course – positive design for your life, your community and your world by empowering the genius inside all of us! D4A is about regenerative learning, enabling individuals, organisations and communities to come together over six weekends to create empowering solutions to the real world challenges we are all facing in these times of change. Adapted from the Permaculture Association (Britain)’s PDC core curriculum, this is a person-centred, fun, lively and inclusive course, exploring and utilising concepts such as Systems Thinking, Holistic Design, Community Empowerment, ‘Whole Person’ Health, Skill Sharing, Critical Thinking, Appreciative Inquiry, Right Livelihoods and much more. This course will be hosted at Furtherfield Commons in Finsbury Park, a new and exciting partnership project at the cutting edges of dynamic cultural change: “We believe that through creative and critical engagement with practices in art and technology people are inspired and enabled to become active co-creators of their cultures and societies.” Venue: Furtherfield Commons, Finsbury Park, London The course will be taught by Graham Burnett (Dip. Perm Des), Claire White (Dip. Perm Des), James Taylor (MSc. Human Ecology) and some great guest teachers. We are emailing to share digital versions of the members’ newsletter. You should have received the paper copy through the post recently. Download the PDF now to enjoy Autumn issue of Permaculture Works, your members newsletter. You can also download this season’s free poster Permaculture design at home and in the garden, plus upcoming courses and events. Please share widely!